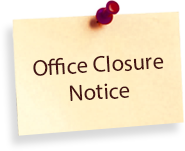 The ESNZ office will be closed from 11.00am tomorrow (Friday 16 February 2018) to allow the staff to move office. We aren’t going far – just down the road to 22 Panama St in Wellington. Earlier this year Sport NZ, who we currently share office space with, decided to move locations and as part of the move Sport NZ funded a “location review” for ESNZ to ascertain the optimum location for our office based on a number of different criteria. The review found we were best to stay in Wellington in the short term. As a result the ESNZ board resolved to remain in Wellington for three years and to revisit the future location of its offices after two years. No phone, server or database access will be available from 10am Friday as we need to move our server and all our equipment to the new premises – this means no registrations can be done on Friday and staff will not have access to central files to answer any queries. Please accept our apologies for any inconvenience this might cause. ESNZ will be back up and running at 10.00am Monday 19th February. We look forward to hearing from you then.